A Christmas piñata in the historic Mormon Tabernacle during the annual Latin Christmas program in December 2013. I cringe when I see it. It’s like watching a train wreck unfolding in slow motion. It’s never pretty but the result is always the same. It’s ugly and it’s painful. I’m talking about a Latter-day Saint publicly bearing testimony outside of the friendly confines of Mormon culture. Specifically, presenting their testimony as evidence for the veracity of Mormonism as if it were just as credible as dropping an apple as proof of gravity. 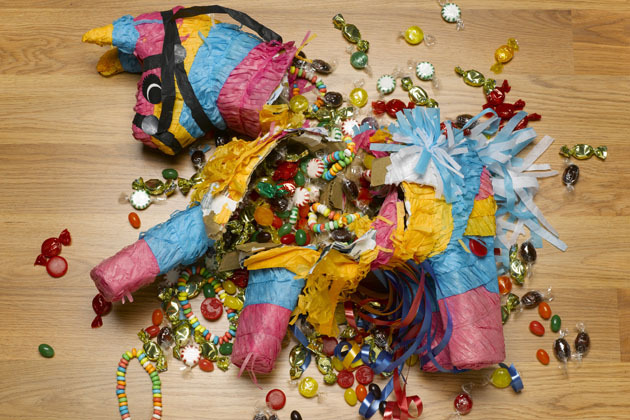 They put it up like a bright and shiny new piñata and by the time outsiders are done whacking at it it’s nothing more than a broken mess on the floor. • Read the Book of Mormon and ponder its message concerning Jesus Christ. • Pray to God with faith in Jesus Christ to receive a testimony that the Book of Mormon is true and that Joseph Smith is the prophet of the Restoration. • Pray sincerely and have real intent, which means that they intend to act on the answer they receive from God. I have diligently sought God regarding whether the Church of Jesus Christ of Latter Day Saints is true or not. To that end, I have studied the Bible as well as the Book of Mormon and I have prayed consistently for over 30-years. I have taken the “Moroni 10 Challenge” and I have felt an intense “burning in my bosom” many, many, many times in my life — in fact, I carry it with me every day of my life. Of course the common Mormon response to this contra-testimony is, “You clearly didn’t do it right!” In other words, there’s only one right answer – the one that they got. Problem Mormon friends: I did. So did the millions of others who got a different answer than the “right one” that you did. Doubt me? Keep reading. Because the results are so wide and varied this method of discerning “God” is clearly unreliable. Likewise, and for the same reasons, this method of discerning “truth” is also unreliable. This method of epistemology appears to be confirmation bias driven. That’s because the conclusions appear to be predetermined by the person’s presuppositions. That is, the person investigating Hinduism is just as likely to be persuaded that Vishnu, Brahma, Shiva, or Shakti is speaking to them as the person investigating Mormonism is convinced that the God of Mormon is. In a similar vein, borne testimony tends to reinforce the presuppositions of the audience. Stated simply, those who already hold to the same presuppositions as the testimony bearer will enthusiastically support their testimony and those who don’t will either challenge or ignore it. Therefore, objectively speaking, and in conclusion, testimony bearing ultimately proves nothing. Testimonies are not inherently bad things. Testimonies are used in a court of law as evidence. But testimonies are given regarding a certain event that somebody witnessed. You can’t rely on your own subjective experiences to convince somebody else of the truth of your beliefs. The major problem is that in the Mormon’s testimony, they don’t give us any reason to believe Mormonism is true. A subjective experience may give you a reason to believe but it doesn’t give anyone else a reason to accept your beliefs as true. Arguing that it is the correct church doesn’t help. I need to know why it is the correct church…. 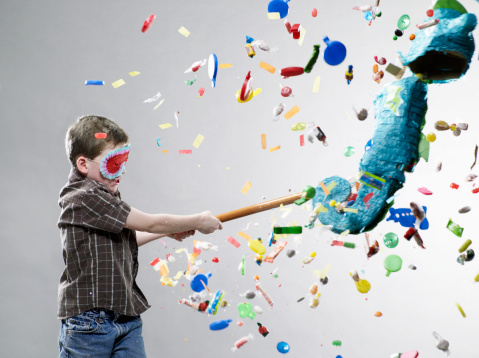 But whatever you do my Mormon friend: Put that Mormon Piñata down and don’t pick it back up! If you don’t, it will be just like you’re queuing it up for your thinking, bat toting non-Mormon friends like a piñata on a zip line. 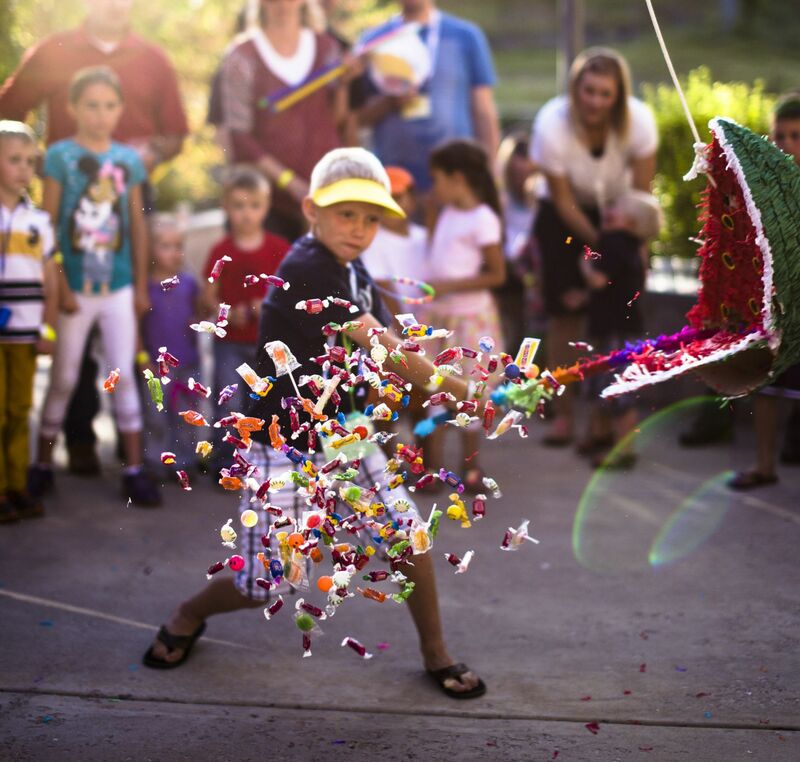 “Wrecking Ball Piñata” shot in Salt Lake City at the Utah State Fairgrounds. 7 While this sample of testimonies was compiled from the Mormon Think website, an even fuller collection of indexed testimonies can be found on the Testimonies of Other Faiths website. 10 C.S. Lewis, “Mere Christianity (C.S. Lewis Signature Classics)”, (p. 78, Kindle position 1071). HarperCollins. Kindle Edition. Again, I apologize to Mr. Wilcox for abusing his fine prose like this but, frankly, since I couldn’t top it I used it instead! The story behind the animated GIF above – this is just fun!